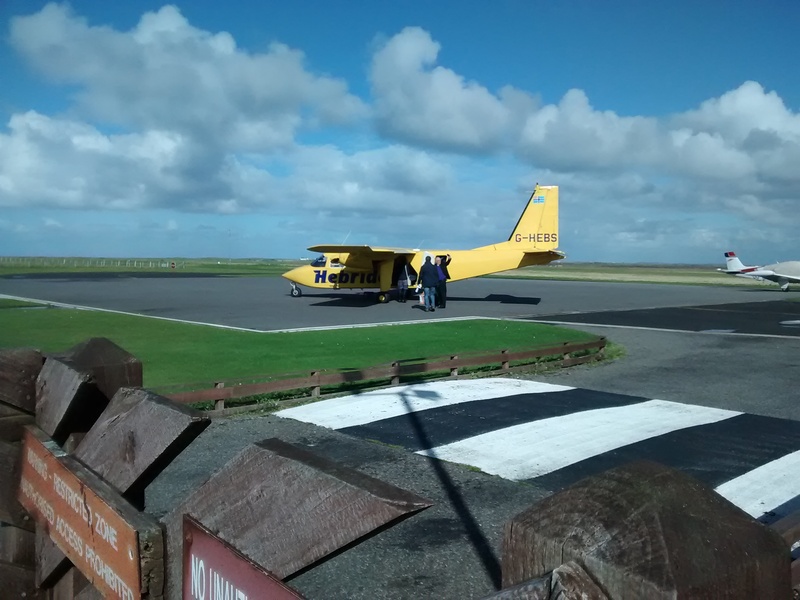 On 22nd and 23rd September, the their final two days in Argyll, Dr and Mrs Morrison visited Tiree, and then returned to Oban. 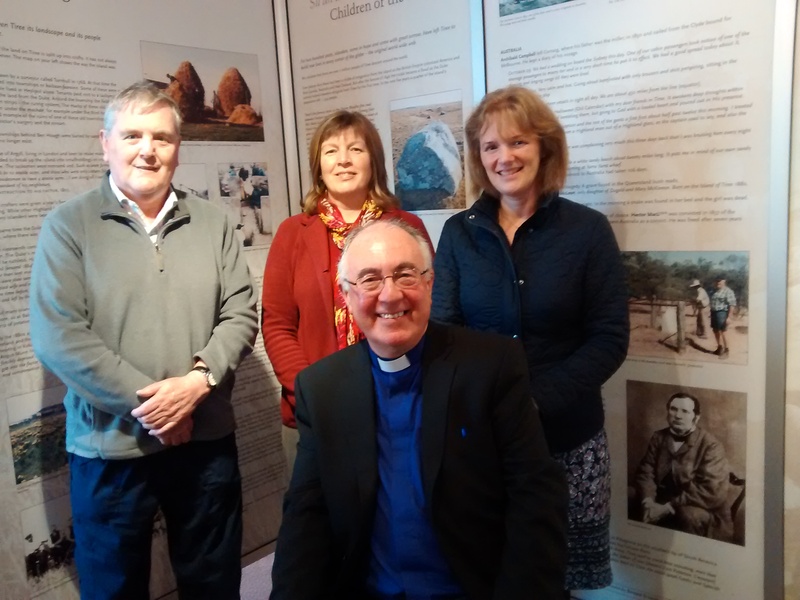 From there they continued the next day to visit Lochaber Presbytery. 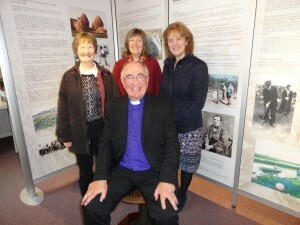 With Rev Elspeth Maclean (left), Minister of Tiree, and Janet Bowler (back centre), the archivist at An Iodhlann, Tiree’s Historical Centre) in front of some of the display boards at the Centre. 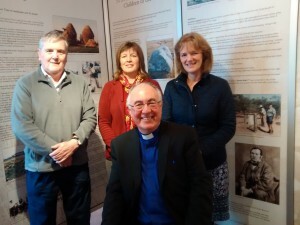 With Mr Iain MacKinnon (left), one of the Elders at Tiree Church, and Janet Bowler (back centre), the archivist at An Iodhlann, Tiree’s Historical Centre) in front of some of the display boards at the Centre. About to board the plane back to North Connel. On Wednesday evening, Dr and Mrs Morrison visited H2O (Hope to Oban). 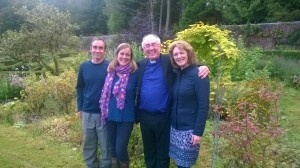 Here they are at Green Shoots, in the walled garden of Glencruitten House. Green Shoots is an H2O project which provides a space for all to develop skills and experience the many benefits associated with being outside, meeting people, growing fruit and vegetables and eating locally grown, healthy produce. The project is tun by Catriona and John Petit, picured in the photo below.